These four African women have one thing in common. They serve or have served at some point, as Minister of Finance, which in my biased view, is the most important position in government, after President. Although I’ve highlighted these women, you may be surprised to learn that since 2000, 22 countries in Africa have had women ministers of finance and a total of 34 women have held this prestigious appointment. These countries are: Mozambique, Burkina Faso, Sao Tome, Nigeria, Togo, Namibia, Burundi, The Gambia, Tanzania, Liberia, Cape Verde, Mali, Guinea-Bissau, Uganda, Benin, Cote d’Ivoire, Chad, Central African Republic, Lesotho, Somaliland, Algeria and Gabon. So, cheers to Africa for this amazing demonstration of women’s empowerment! Ok, so that was the preamble. Here are the awesome foursome. 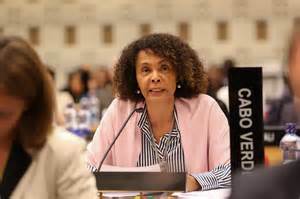 Cristina Duarte is the Minister of Finance in Cape Verde. She has served in this capacity since 2006, making her one of the longest-serving Ministers of Finance in Africa. She is an economist and an international banker by training. She’s also a polyglot – fluent in English, Portuguese, French, Italian and Cape Verdian Creole. In addition to her public sector experience, she’s also worked with the private sector (Citibank and Citigroup) and consulted for international organisations such as the World Bank. 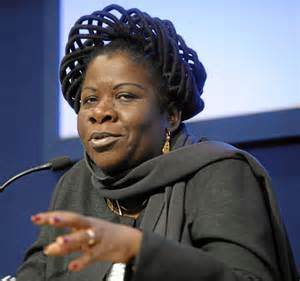 This year, she was one of the candidates considered for the presidency of the African Development Bank. She didn’t win but would have been the first woman president of the AfDB. I have met her personally (ok i exaggerate – i was among a couple hundred people listening to a speech she made at a conference). She is articulate, smart and so passionate about her country. In her rhythmic Portuguese accent, she loves to talk about the transformation of Cape Verde from a poor island with no natural resources to one that has become a strong performing economy and a stable democracy. She leaves you leaning forward in your seat, fully engrossed in her speech as she explains how this tiny island managed to pull off this magic trick. Their secret is simple: good governance, good governance, good governance. Now here is a powerful lady who needs no introduction. Smallish in stature but quite a force to be reckoned with. 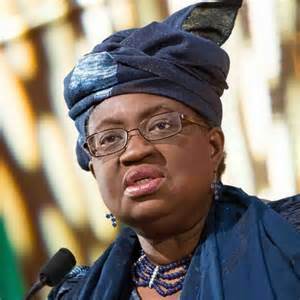 Prior to the two terms she served as Minister of Finance to the largest and richest country in Africa, she served as a Managing Director at the World Bank and was even considered for the presidency of the Bank. Adding to her enviable credentials are her university degrees from Harvard and MIT universities. I haven’t met her (yet) but from reading her book “reforming the unreformable”, listening to her TED talks, etc., she comes across as an exemplary leader and a person of integrity. In her book, she talks about walking out of a meeting that was called by the President, to draft her resignation letter because the President (then President Obasanjo) decided to remove the budget office from the ministry of finance and place it in the Presidency. So like a nollywood movie, she handed over the letter to the President and he flung it back in her face and asked her to leave. She did. She was begged to come back. She refused and only did so when the President reversed his decision. As I write this, I stand up and salute this lady. Well done. Not only has Luisa Diogo served as a National Budget Director, a Deputy Minister of Finance (at age 34) and Minister of Finance, she has also served as Prime Minister in Mozambique (2004-2010). She is a trained economist with degrees from Eduardo Mondlane University and the University of London (SOAS). Like her other colleagues, she also has World Bank experience. Let me digress for a minute and observe how the “world bank” experience seems to be a common thread in the position of minister of finance in Africa. A lot can be said about this but her experience with the Bank probably helped Mozambique – a war-torn country – to secure a lot of international aid. In fact, in 2004 alone, Diogo managed to secure $790 million in aid from the World Bank. Luisa Diogo is a gender activist and has been known to call upon African ministers of health to offer free reproductive health services. Time Magazine calls her one of the top leaders and revolutionaries in the world. She was listed by Forbes among the 100 most powerful women in the world! The final member of my awesome foursome squad goes to Antoinette Sayeh who served as Liberia’s Minister of Finance between 2006 and 2008. Compared to the other three, she has spent the shortest amount of time as Finance Minister. However, she comes with sharp credentials. She is a graduate of Swarthmore college and holds an MA and PhD in international economic relations from Tufts University’s Fletcher School of Law and Diplomacy. As expected, she has her World Bank stamp with 17 years experience at the bank. 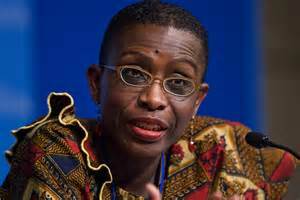 She also has IMF credentials, serving as Director of the Africa Department after her time in public service. In my view, her awesomeness has little to do with the Washington credentials (though I highlight them because I find it interesting that the world bank experience seems to be a “requirement” in the position of finance minister). Her awesomeness (and that of the other three) is about passion, service and commitment to reforms in very difficult circumstances. Sayeh was able to get post-conflict Liberia out of huge debt arrears and was able to implement public financial management reforms during a difficult period. So there you go. These four exceptional ladies have championed reforms in two post-conflict countries, one large and incredibly complex country and one small island that had no resources. In South Africa, the entire month of August was dubbed women’s month. So, here is to all African women doing their bit for the continent. Upwards and Onwards! Posted in Economic Development, People and tagged african leaders, african women, cape verde, gender, leaders, liberia, ministers of finance, mozambique, nigeria, public service, women in government, women's empowerment. Bookmark the permalink.